This review is long overdue, and I apologize for not getting it out sooner- I also hope it will lead you to read this wonderful book of poetry. because Rodney Nelson is a wonderful poet who deserves attention. He is a contemporary western poet who takes you to his land, and the words set you straight. We were fortunate to get a copy of his METACOWBOY for a review months ago, and were quite pleased adding this wordsmith to our journal list of favorites. 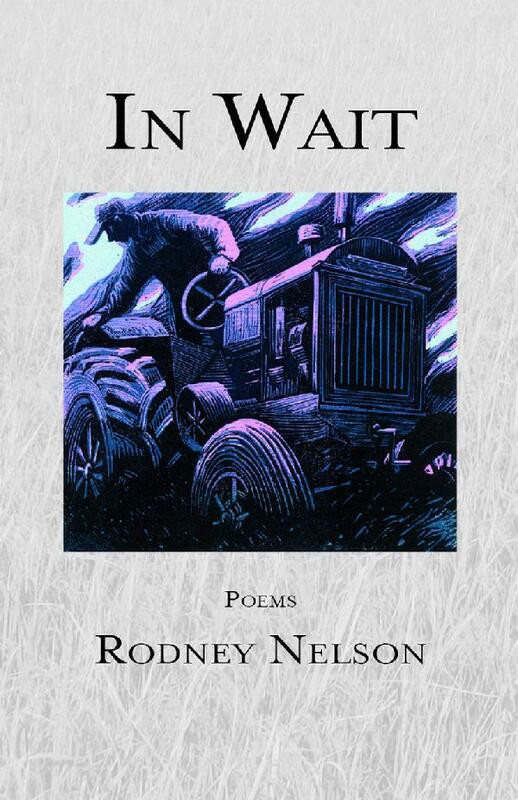 Rodney’s new book, In Wait (Night Bomb Press, Portland, Oregon) was not a disappointment. In my own journey with loss (daughter and parents) over a five year span, very close relations tied to time and place, the emotion drove me down different roads, and I could not write without absolute sadness; Rodney takes you there in a way where loss runs deep, and allows you to sigh, yet take in all its beauty before you look away or move on to the next poem. I only say this because the ‘Authors Note’ made me hesitate my reading. Nelson possesses a skill that, despite the surroundings and subject matter presented, he makes it never seem like writing is a chore. His beat speaks with a light-hearted but yet descriptive approach, his stops and starts help one smell the roses, a kind of cool touch that makes In Wait a powerful and engrossing read; it is as brilliant as it is sad. Full of his ever matured consciousness as read in METACOWBOY, not between the line clues as you find in mainstream poetry books. This book does celebrate life, and I found myself reading it three times, in a row. If you have a list as most poets I know do, add this one. And add it to the to for upcoming holiday gifts!